Festival of Traditional Echizen-Yaki ! 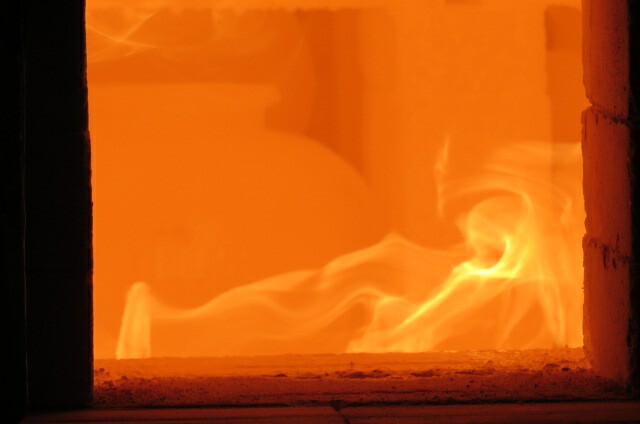 Echizen-Yaki is one of the “Six Old kilns” , with a history dating back many centuries. 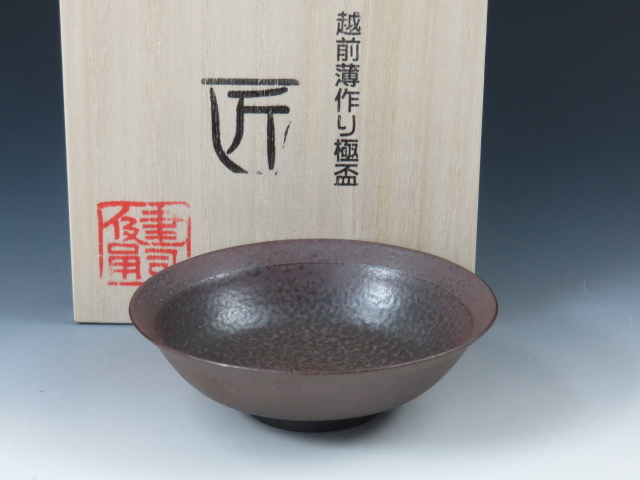 The feature is its simple shapes and natural texture of the clay by firing unglazed in general. 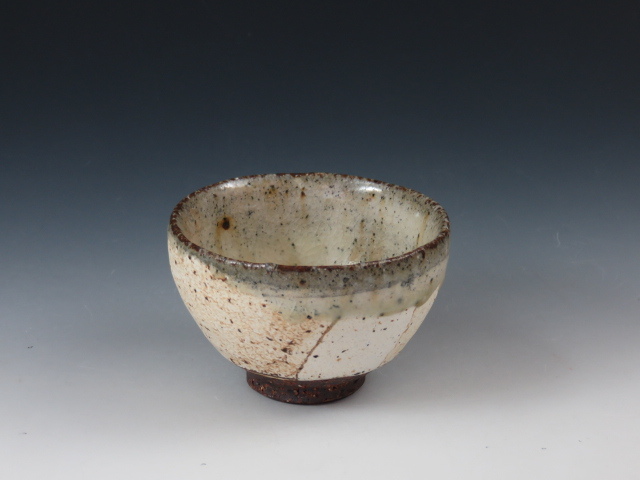 However, we can enjoy various ware fired with many variety of glazes these days. 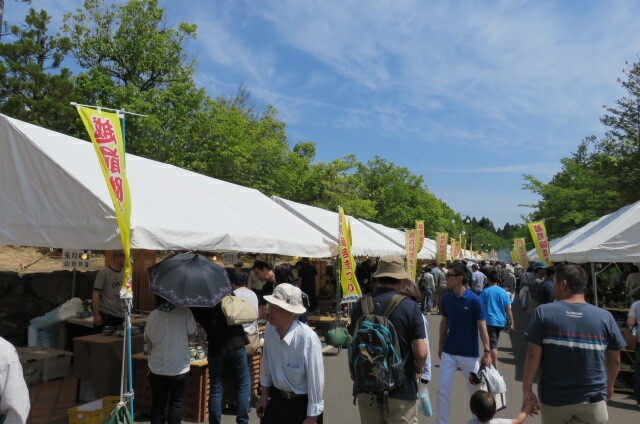 On the end of May, “Echizen Togei Matsuri (ceramics Festival)” is held in the Echizen Ceramics Village, situated in a center of the Echizen-Yaki producing areas. Potters more than 60 display and sell their boastful products there. It is fun to meet and chat with potters who were got acquainted with before. Onta-Yaki, the earlist remembered scene ! 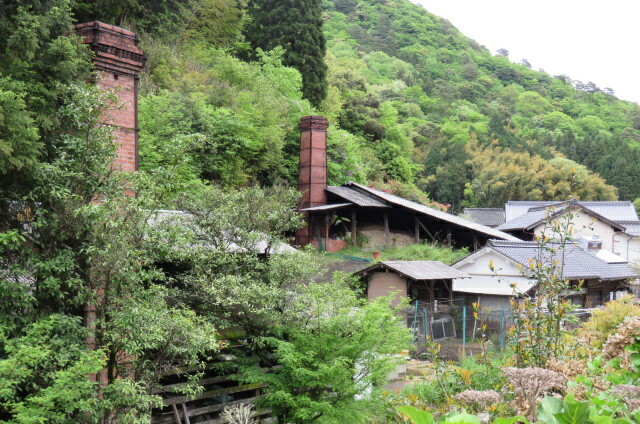 Onta-Yaki is a quite unique pottery production village in terms of tradition and location. Only 10 potters’ family have handed the know-how of an art down from generation to generation within the family for more than 300 years. 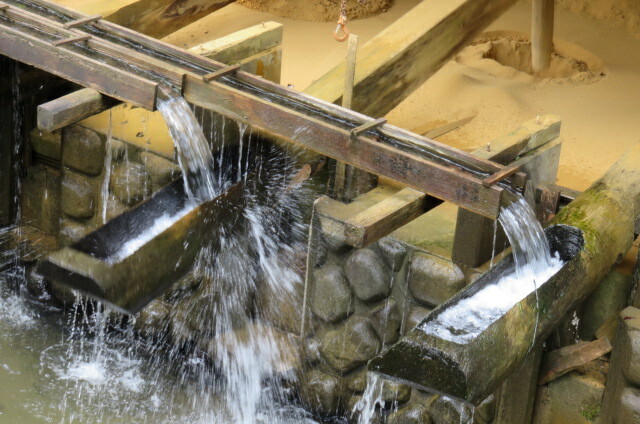 In addition, the village have kept un-modernized, meaning that they are still using water-powered mills (Karausu, or mortar) for clay making and pine for firing in climbing kilns. We feel the scenery between mountains at home. 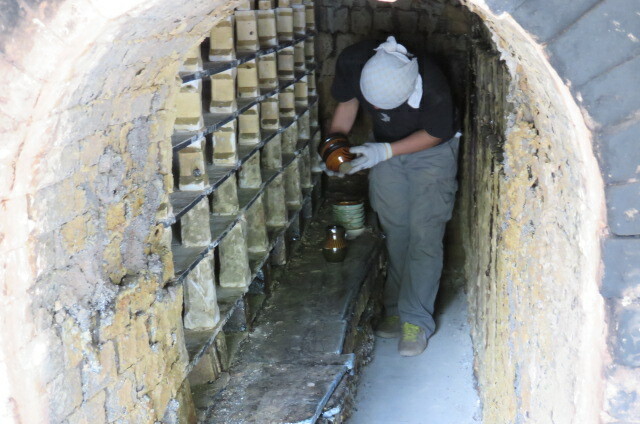 The pottery made here are in folk craft styles, decorated with “Tobikanna”, or jumping marks, “Uchihakeme”, or tapping brush marks and the like, and applied with traditional straw ash-, iron- and celadon glazes..